No, not the terrifying one who scared many a child back in the day, but as a righteous Akshay Kumar, in a film literally titled Gabbar is Back. Amjad Khan’s portrayal of the ruthless dacoit and his fondness for other peoples’ arms was iconic enough for Bollywood to try capitalising on his popularity 40 years later. Khan's Gabbar single-handedly makes Sholay one of India’s greatest films ever. 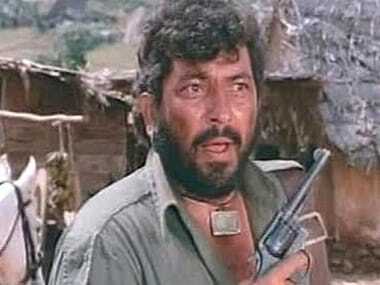 Amjad Khan as Gabbar Singh in the iconis Sholay. Image courtesy: IBN Live. However, as any Hindi cinema buff will tell you, the making of a legendary villain is largely a case of a-hit-and-a-miss, with far more misses than hits. Indeed, for every Gabbar, Mogambo and Kaancha Cheena, there are many a Pralaynath Gendaswamys, who can’t quite see the line between depravity and hilarity. That's not a made-up name, by the way. Pralaynath Gendaswamy was a suave-looking Deepak Shirke in Tirangaa, a film starring Raaj Kumar as a 66-year old supercop/superhuman and Nana Patekar as his nutty partner. Pralaynath Gendaswamy was looking to conquer all of India with a bunch of cardboard nuclear missiles to be launched from his forest hideout somewhere around Borivali or Madh Island; only to have his beautiful plan foiled by the enterprising heroes and their catchy dialogues. Frequently seen in a dapper suit and white gloves (not unlike a valet), you’d imagine that the man might have at least been able to afford a change of name, but apparently, Pralaynath revelled in its absurdity. Speaking of absurdity, how can one forget Sadashiv Amrapurkar’s turn as the evil dictator Raja Jaichand in Anil Sharma’s Dharmendra-Vinod Khanna starrer, Farishtay? Of course, given how genius jostled for space in that film, you might have trouble remembering Raja Jaichand. Still, Amrapurkar, who would later be immortalised as the terrifying Maharani in Sadak, certainly made the most of the role. A cross between Hitler and Liberace, Raja Jaichand was a bon vivant who dressed flashily enough to give even Michael Jackson a complex. Riding around in a giant swan-shaped chariot, he effortlessly terrorised his people, armed with nothing but his fashion sense. 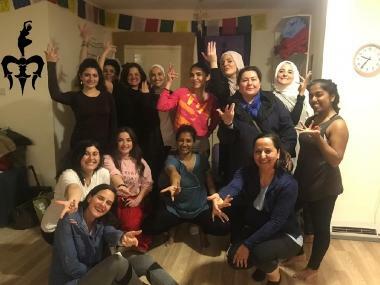 When the time called for it, Jaichand also had a golden horde of female soldiers dressed in cocktail gowns who looked just as ready for battle as they did for a night out on town. But they were no match for a rampaging Dharam and Vinod, who eventually defeated Jaichand simply by the power of ‘kutte kameene’ and literally kicked Jaichand to death. Rami Reddy showed similar propensities in Bharat Rangachary’s Waqt Hamara Hai, as Colonel Chikara. The good colonel was trying to recover a misplaced backpack full of nuclear fuel from a bunch of college kids played by Akshay Kumar and Sunil Shetty. Wistfully describing himself as a ‘king without a kingdom’, Chikara’s only aim in life was to take over India with his “krypton bomb”. However, clearly lacking Jaichand’s stunning fashion sense, Chikara looked more like someone who should have been opening doors at a downtown hotel rather than aspiring to nuclear bombs. No wonder, then, that he was foiled by a college-aged Kumar and Shetty. Perhaps Reddy should have been taking pointers from Amrish Puri, who played… er... ahem… a general called Dong, in another Anil Sharma epic called Tahalka, once again starring Dharamendra among others. Like Jaichand, General Dong was also a libertine dictator, who — when he was not kidnapping and enslaving entire populations — liked to throw elaborate parties where he would bring the entertainment himself, playing flutes, drums and a lot more. A villain and a musical savant! Indeed, given his vitality, one cannot understand why people did not appreciate his iron-fisted authority in the mountain kingdom of Dong-rila. Maybe it was the offensively caricature-ish portrayal of Mongoloid people, complete with Fu-Manchu facial hair and eyes to match. Or, maybe it had something to do with his name. On second thoughts, yes, most definitely that name. Of course, nobody played Asian characters better than Amrish Puri’s elder brother Madan Puri. Long before Amrish in Tahalka, the much older Madan sported that Fu-Manchu, offensive eye make-up, a terrible accent and worse taste in a whole bunch of villainous roles, starting with Howrah Bridge (1958), Singapore (1960), China Town (1962), Humsaya (1968), Shatranj (1969), Prem Pujari (1970) and Saazish (1975). In fact, it might not be unthinkable to assume that Madan Puri’s filmography might be a legitimate reason why China hates India so much. A viewing certainly justifies it. However, the top prize for terrible racial caricatures has to go to a personal favourite – Om Shivpuri in the obscure, but amazing Wanted: Dead or Alive, from 1984. This lost gem is India’s most committed take on spaghetti westerns, complete with Mithun Chakraborty as a man with a poncho and no name (kidding, it’s Vikram). Apparently set in some sort of alternate post-independence timeline of India, the film is set in a small village where everyone, from the chaiwallah to the panwallah, wears a ten gallon Stetson and pretends they are cowboys. In the midst of this, lands Om Shivpuri as a dreaded dacoit named Kehar Singh, who really truly believes he’s Mexican. What else could justify his curly blonde hair and the sombrero he carries around? Try as he might to strike fear into everyone’s hearts, you can’t help but expect him to throw down his hat and dance around it every time he appears on screen. Good old Kehar Singh is a terrifying terrifying look at what Gabbar might have been if Ramesh Sippy had gone completely cuckoo. Indeed, if it had gone that way, this week, it might have been Johnny Lever starring in Gabbar is Back. We'll know tomorrow if that would have been more enjoyable an experience than Akshay Kumar and his PWD. Nandan Kini is a documentary film researcher and journalist based in Mumbai. Also the national president of the Association of the Sartorially Challenged, he tweets at @bombilfry and has booked his face at Facebook.com/nandan.kini.